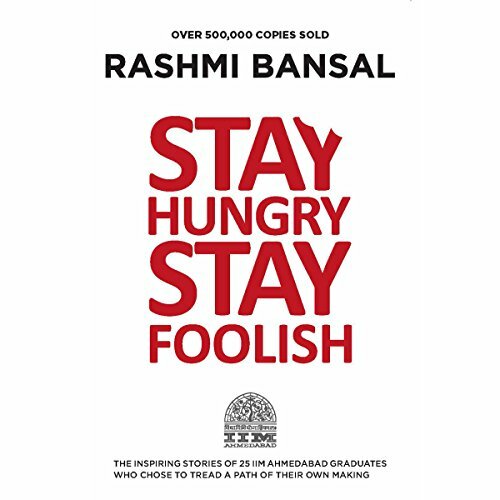 Stay Hungry Stay Foolish is the story of 25 such IIM Ahmedabad graduates who chose the rough road of entrepreneurship. They are diverse in age, in outlook and in the industries they made marks in. But they have one thing in common: they believed in the power of their dreams. This book seeks to inspire young graduates to look beyond placements and salaries. To believe in their dreams. ©2008 CIIE, IIM Ahmedabad (P)2017 Audible, Inc. This is an excellent book of stories of India's some of change makers, entrepreneurs who took different and diffocult paths. This book compiles almost 24 stories. very inspirational. the most I liked was the author did tell us how those people achieved than just what they achieved. Thank you Rashmi for this book. Pretty good narration. Good voice modulation. However, I would have expected the narrater to pronounce hindi terms or names with correct pronounciation in Hindi and not in English accent.